Credit Agricole and Nomura are the first two banks to publicly disclose their analyst package offerings. Banks and asset managers will soon be obligated to publish their research spending costs. Ahead of the passage of MiFID II, Credit Agricole and Nomura have become the first banks to disclose their analyst packages, with some packages reaching as high as €120,000 ($137,000). Disclosing all research spending and by extension analyst costs will be mandatory in January 2018 with the implementation of MiFID II. The upcoming regulatory framework is set to dramatically transform the financial services industry, and could impact thousands of jobs as well. While the new legislation will foster improved reporting standards, and other obligations, one consequence could be the curtailing of research spending by banks in light of more transparent pricing. A recent study published by McKinsey & Co. study estimated that the collective $4.0 billion that is spent from the top 10 sell-side banks annually could be trimmed by upwards of 30 percent as clients exercise greater restraint on what they pay for. Credit Agricole made public a portion of its analyst pricing packages, including a premium option costing €120,000 ($137,000) – in light of new regulations, the lender is also disaggregating research services into basic and premium categories. However premium packaging is limited to just twenty clients, according to a Bloomberg report. “Our client franchise is too large to guarantee senior analyst and strategist access to everyone. 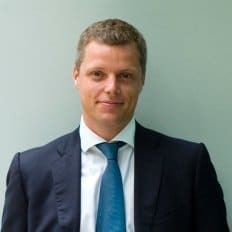 We expect that after MiFID II, client enquiries will be addressed to a smaller number of research providers,” commented Jean-Francois Paren, Head of Global Markets Research at Credit Agricole. The disclosures by Credit Agricole will see a rationing of analysts, which could usher in an industry consolidation for these jobs in the banking sector. Jobs in the research sector have lagged well behind their counterparts in other fields, especially relative to back-office, IT, and select trading desk roles. Since 2011, cash equity research headcount has fallen by only 12 percent, relative to 40 percent for the sales and trading sector. The pricing structure from Credit Agricole is nearly congruent to Nomura Holdings, which also reported a €120,000 top-level research model. For Credit Agricole, this premium offering allows clients access to its premium credit package. Its basic offering costs €60,000 ($68,500), while the premium currency and rates packages start at €100,000 ($114,000), with emerging-markets starting at €80,000 ($91,200).